These site saver signs are manufactured from a low-cost material, allowing us to provide you with your own branded designated smoking area signs at an affordable price. 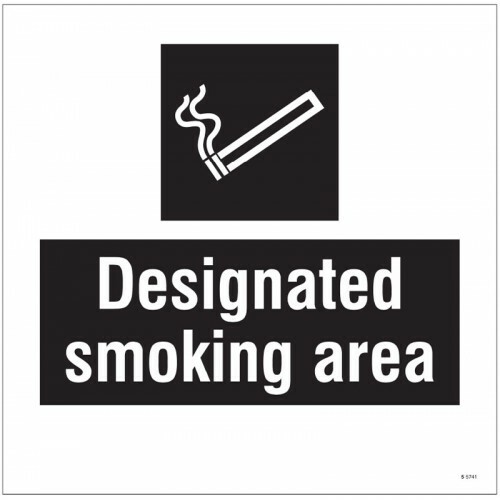 Simply send us a Ai, EPS or High Res JPEG of your logo along with supplying us with any contact details you wish to include and we'll print your bespoke designated smoking area sign at no extra cost. 5. Fluted Polypropylene: A fully recyclable, lightweight and waterproof material which is ideal for temporary signage such as site safety signs.